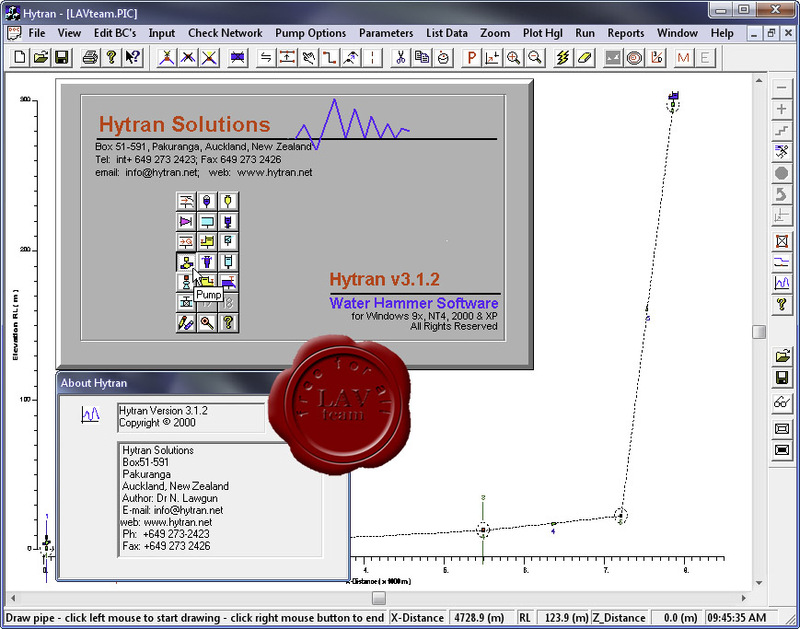 Hytran is software for analyzing HYdraulic TRAN sients or water hammer in pipelines and is written in the object oriented C++ language for Windows environment. Intuitive Windows graphics enable a pipeline to be drawn, input data, edited and ready for analysis in minutes. See real time transient graphics flashing across the screen as the transients propagate along a pipeline. Indicators show cavitation and flow direction providing a full picture of the water hammer phenomenon. Transients at selected locations along the pipe network are plotted simultaneously on the screen.